Stillwater Mills is a new residential condominium complex nestled in the heart of historic Downtown Stillwater with retail shops on the ground floor. 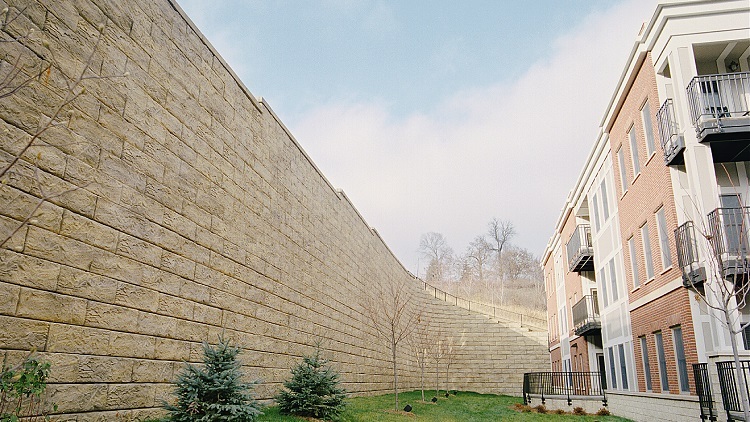 To make the building work, a retaining wall was constructed along the west property line at over 20′ tall. This was a cut excavation that require many safety measures to preserve an existing road and sidewalk at the top of the wall. Ultimately the Recon blocks were selected to build a massive gravity wall structure that didn’t require geogrid reinforcement. The blocks on the bottom of the wall weigh over two tons each and had to be set with a large excavator. 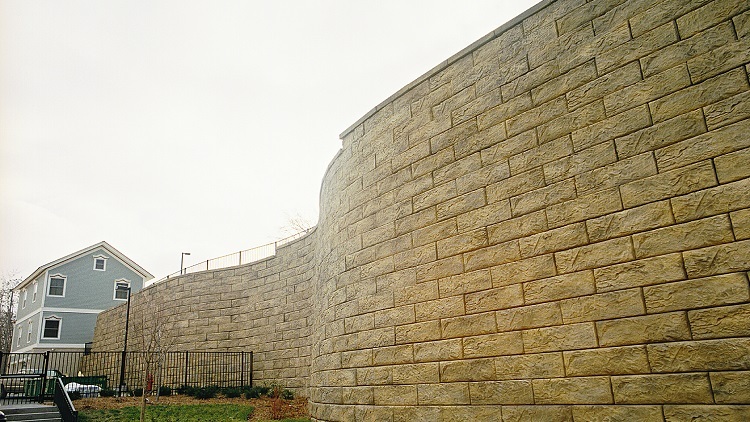 In the end the wall construction was a solid solution for the City of Stillwater with both quality aesthetics and high performance requirements.